The University of Maine at Presque Isle has named Marty Parsons to serve as its new Vice President for Administration and Finance, the University’s chief financial officer. Parsons, who comes to the University with extensive experience in financial and administrative management at the higher education level, will begin work on Oct. 9. The University underwent a search earlier this year to replace its longtime Vice President for Administration and Finance, Charles Bonin, who will retire from the University in October, after 38 years of service to the institution. Parsons has served most recently as the Senior Vice President for Administrative Services/Chief Financial Officer for NorthWest Arkansas Community College. 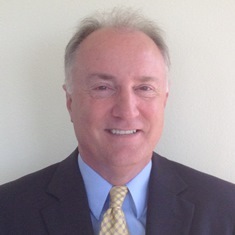 From 2008 to 2010, he served as the Chief Operating Officer for the University of Delaware’s College of Engineering. For many years before that, he was at the University of Michigan in two major financial capacities. From 1999 to 2007, he served as the Director of Budget and Administrative Manager for the Office of University Development, and from 1988 to 1999, he served as an Assistant Financial Manager for the institution, managing the University’s Accounts Payable, Travel and Procurement Card Office. Parsons holds a Bachelor’s of Business Administration in Accounting from the University of Michigan. He also has completed several National Association of College and University Business Officers [NACUBO] professional development activities. He has spoken at several national conferences on a variety of financial, procedural and organizational topics. Parsons’ start date in October will allow for an overlap in his and Bonin’s tenure, giving Parsons the opportunity to learn the unique aspects of the University’s, and the University of Maine System’s, budgeting, finance and administration activities. Parsons is originally from Michigan. He and his wife Sandra have two daughters, four rescue dogs and enjoy living in the country. Parsons will be relocating to the Presque Isle area in the coming weeks.